TRMK - Mortal Kombat News - Mortal Kombat (2011) for only $46.99 at Amazon.com! This is a great deal that we wanted to share with everyone. Right now you can get Mortal Kombat (2011) for a mere $46.99 after a $10 promotional credit that goes towards future purchases when you pre-order at Amazon.com . 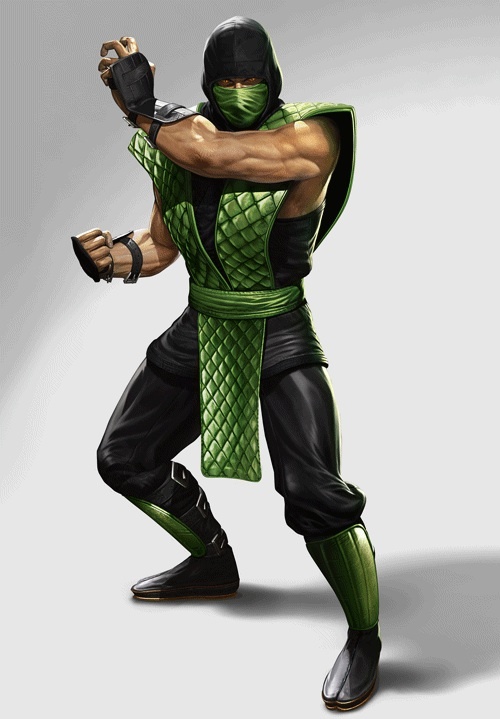 In addition to the $10 credit you are also getting the Klassic Reptile Playable Character Skin (pictured below) and original Reptile Fatality that you'd normally get with pre-ordering. Below we have added handy links to easily pre-order each version of the game. Act fast as this deal may not last for long! Note: If you already pre-ordered this version with Amazon, contact Amazon customer service to make sure you are getting this deal. The details say it applies to all current pre-orders but you should check to make sure, as in my experience they will often just credit you the difference in advance. Per Amazon's customer service:the standard version is the only version that will get the $10 gift card. Much like Best Buy's misunderstanding, a unaswerable reason why all version that the retailer only allows the standard version for the bonus and not the kollectors or tournament edition. Good thing I've been pre-ordered it. I can't wait until it ships, I don't know what I will buy though. Amazon offers the Reptile bonus on all editions, but they are only offering $10 off the regular edition of the game. This is very common with their previous pre-release sales. @Pat, I figured that was the catch. I was under the impression with your story that all versions of the game through amazon offered the 10 buck gift card along with the reptile dlc.... it's all good..
Like Pat said, this is common. Besides, they did this in response to Wal-mart offering a $10 GC and they only offered it on the regulae edition, too, so this really shouldn't come as a surprise to anyone. I'm trying to get a friend to get on this deal, but on the Amazon page, all I see them mention is the $10 credit. The price is $59.99, so it would come out to $49.99, not $46.99. I don't know where that extra $3 off is from. Any help? They definitely changed the price, I just look back at my order confirmation and the total was 56.99 before shipping... apparently same day shipping was only .99 cents more with "Release Date Delivery".